This guide of surfing etiquette will show you the do’s and don’ts you have to learn and respect. Not sure if it’s the right time to drop in? You already got the stink-eye? Find out what you are doing right and what needs to be changed. “Kook” means “newbie”, that is to say somebody who pretends to be an expert but who is rather clueless and can end up hurting himself or other surfers. Now, everybody hates a kook: therefore, if you are new at surfing, you’ll find our rules extremely helpful. 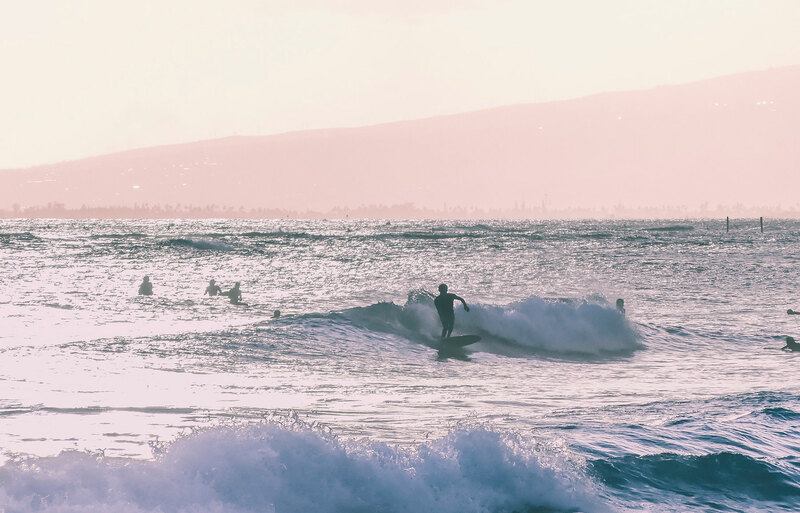 On the other side, if surfing is already your way of living, check them out anyway: maybe, you’ll get why your fellow friends don’t ask you ever out for a drink. 1)Right of way. You see a huge, wonderful wave calling out your name. Gotta catch it, uh? Probably not. Cool down: you might not have the right to that big mamma. So, who does have it? Observe these rules and DON’T DROP IN: apart from being rude, it is also dangerous. 2) Paddling. Don’t paddle straight to the middle of a line-up: try instead paddling out where people are not surfing! If you meet someone riding a wave, do not paddle right in front of him, but behind. And what if you cannot get behind? Well… paddle faster and get out of his way! 3) Snaking. To snake means to paddle around another surfer and to place yourself next in the line up. Not cool, man! Don’t cut the line up or be prepared to be called a “wave hog”. 4) Surfing spot. Choose a surfing spot that suits your expertise. Don’t head for the best surfing spot in town if you are not ready or you’ll end up being a potential danger for yourself and the others. 1) Apologize. If you have dropped into somebody, he will certainly recognize you. So, be brave and say “sorry”. 2) Be nice to locals. Locals are the ones who set the rules. They are used to that specific surfing spot. Respect them and be friendly: for instance, you could ask them to tell you some anecdotes about the place! 3) Respect the beach. Don’t litter. It easy, you simply have to carry a couple of plastic bags with you and throw everything in there. You can do it, can’t you?